A handful of merchants are running deals that are great for Hunger Games fans! Calendars.com is running a free shipping with no minimum purchase deal. You can also get 20% off orders over $50 and everything is already on sale! Our top pick: Hunger Games Mockingjay 2015 Wall Calendar. It measures 12×12 with 12 full-sized character images. They also have a 8 Piece Quotations Sticker Set for only $2.99 and bookmarks for $1.99. Great deals with the free shipping! 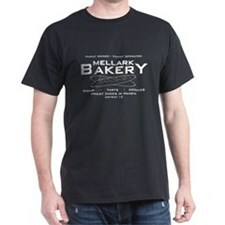 We’ve mentioned before how much we love the fan-made shirts at CafePress. Right now you can get 30% off with code BLKFRI. This applies to Hunger Games shirts, mugs, pajamas, and more! Choose the style you like and then customize shirts by shirt type, size, etc. We LOVE the new shirts that say “If We Burn, You Burn With Us.” They also have some new tote bags, earrings, and totally original merchandise. This is an AMAZING DEAL on the The Hunger Games Movie Mockingjay Pendant on Leather Cord. You can get it for only $2.43 plus free shipping today! 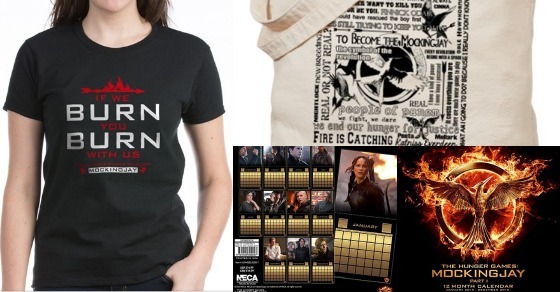 Another great site for fan-made Hunger Games merchandise is RedBubble. Today you can save 15% on everything with code SAVE15. Shirts start around $25 before the code is applied.